The U.S. telco is offering no reverse break fee to Sprint if watchdogs nix its $26 bln deal. Boss John Legere knows better. His success shaking up his rivals came partly thanks to a $6 bln payout from AT&T. Sprint’s willingness to forgo the insurance underlines its weak position. The logo of T-Mobile Austria is seen outside of one of its shops in Vienna, Austria, February 25, 2016. T-Mobile US, which on April 29 said it had agreed to buy Sprint for $26.5 billion, said there will be no regulatory-approval related reverse break fees related to the transaction. 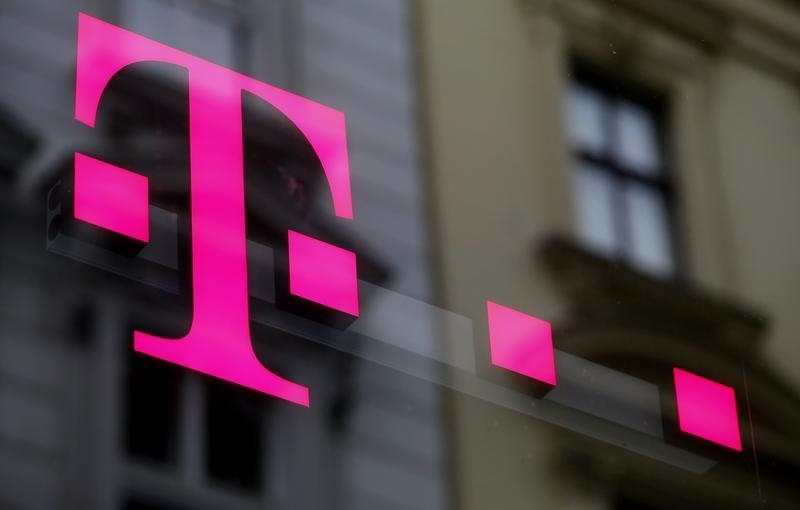 T-Mobile expects the deal to close no later than the first half of 2019. Sprint wanted to buy T-Mobile in 2014 but the $32 billion deal did not proceed because of opposition from U.S. regulators. AT&T in 2011 handed T-Mobile cash and wireless spectrum worth as much as $6 billion after regulators challenged the two companies’ proposed $39 billion merger.